Everyone knows Fire Ramen. It’s the Kyoto specialty where you get to experience your ramen turn into flames before your eyes. 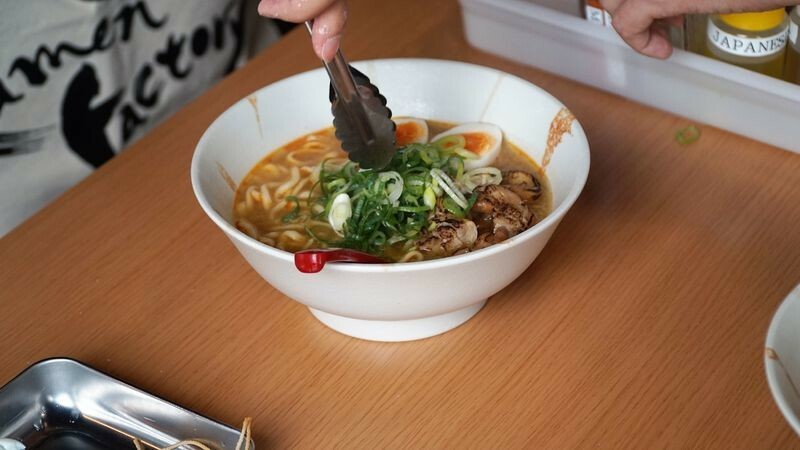 They used to have a ramen school at the fire ramen restaurant Menbaka Ichidai, but now the restaurant is so popular and also open between lunch and dinner so they can no longer hold that school there. 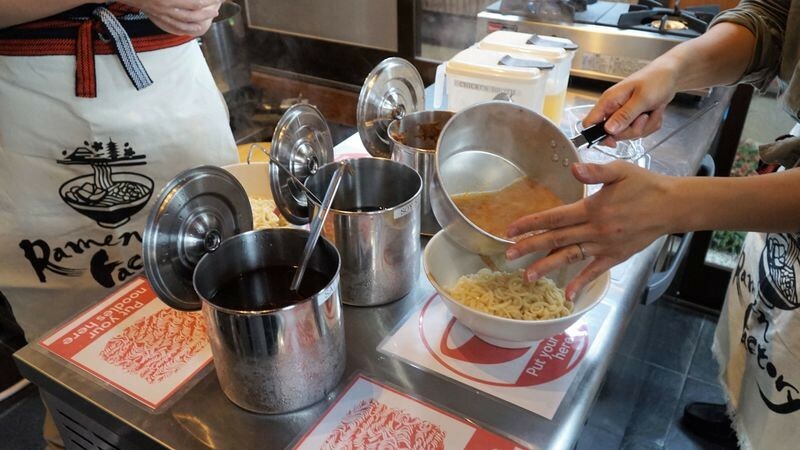 So now there’s a new ramen restaurant, Ramen Factory, where you actually get to make your ramen yourself, starting from the noodles. So before going to try our hands at ramen making, we had some white miso ice cream at Shiro Miso. It’s a nice, interesting taste but I’d recommend eating it after you’ve had your ramen, not before. 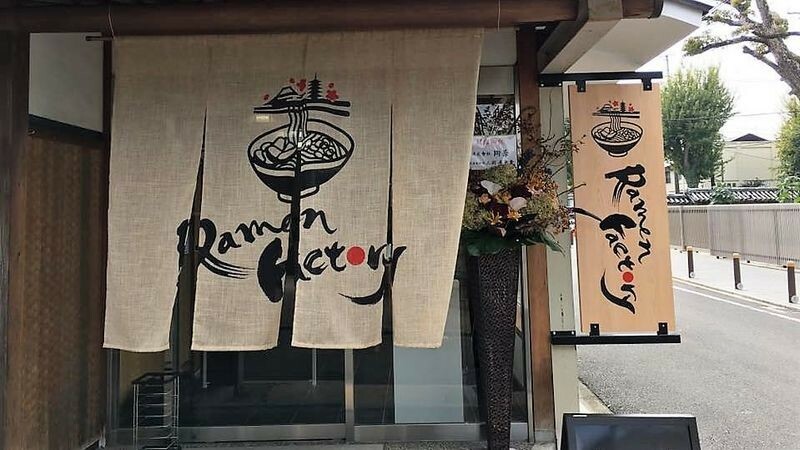 Ramen Factory is located in a traditional Japanese building which used to belong to a store selling earthenware. Once you get in, you get to choose your ramen course. We did the complete course which takes around 90 minutes, but we were done in around 60. Though we should have used more time to knead the dough… if you don’t knead the dough well enough the ramen noodles will break down into little pieces. First things first, wash your hands. We started our ramen experience by preparing the chicken. In this restaurant everything is halal, so they don’t use pork. 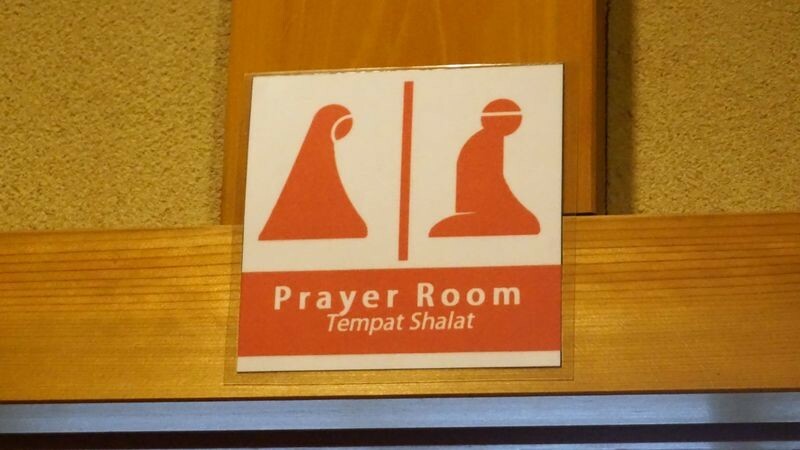 They even have a prayer room for Muslims. 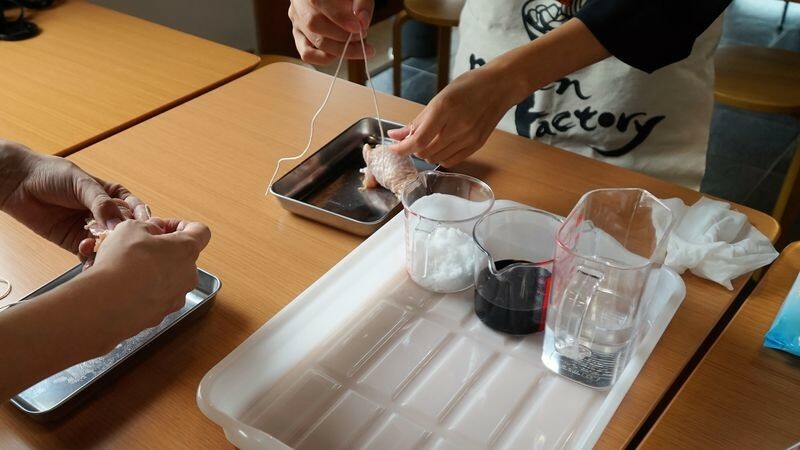 But getting back to the chicken, you use some string to make a roll out of it, and then spice its boiling water with soy sauce and sugar to make chashu, one of the most important ingredients in ramen. After this, it’s time to make the noodles. 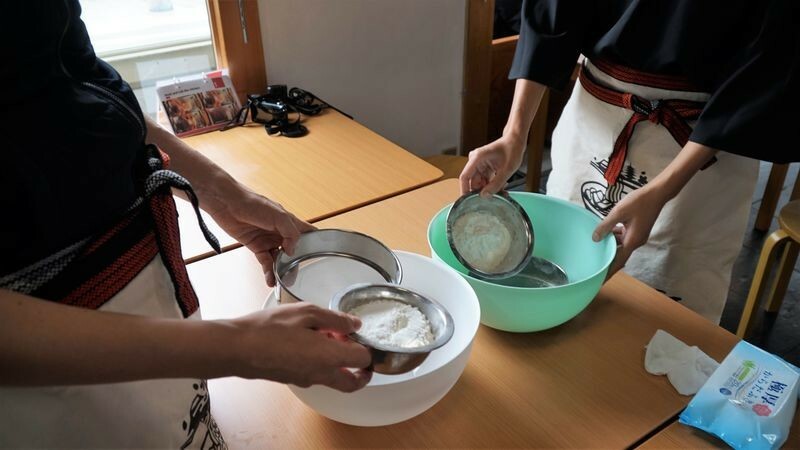 You get flour and water, and by mixing these together and then kneading the dough you get noodles once the dough goes through the noodle machine. The kneading part takes the most time and energy, as you need to fold and punch (knead) the dough 100 times. Like a katana. So very metal. After the noodles have gone through the noodle machine, you put some flour on them. 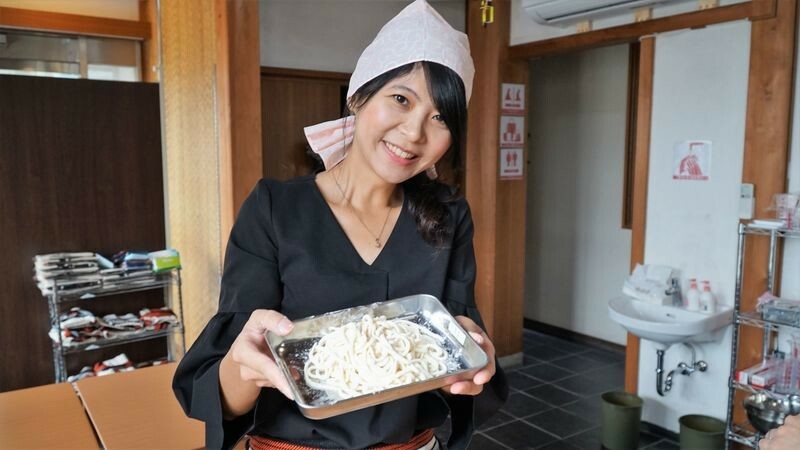 When doing this, I really understood the term “konaotoshi.” Konaotoshi is the most al dente you can have your ramen noodles, meaning they are only in the soup for a few seconds, so that you get rid of the flour on them. After you have your noodles done, it’s about time your chicken will be ready. And this means that you get to use a blow torch to sear the chicken. Which is a lot of fun. Next, it was time to make the soup. You can choose between chicken broth and seafood stock, or you can mix them. The chicken will make the taste stronger, while seafood has a milder taste. After this you add miso, soy sauce, or a salt-based sauce to your soup to make it more flavorful. Then you get to boil your noodles. This is the fun part. 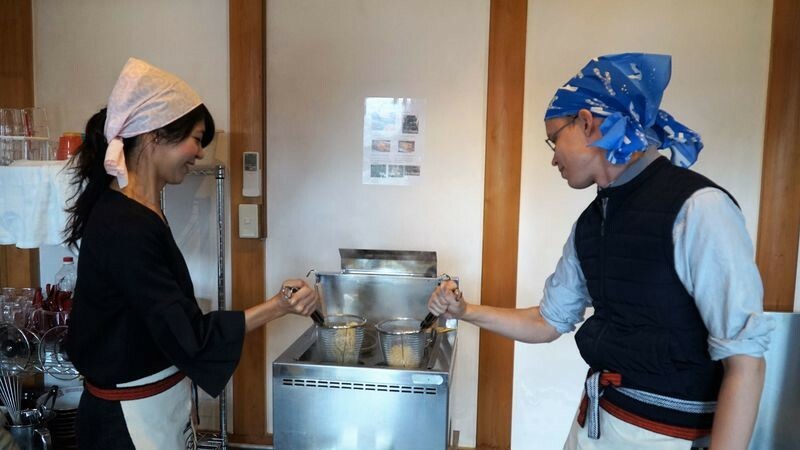 After putting your noodles into the boiling water and waiting for 50 seconds, you get to do the “ramen thing” and drain the noodles. 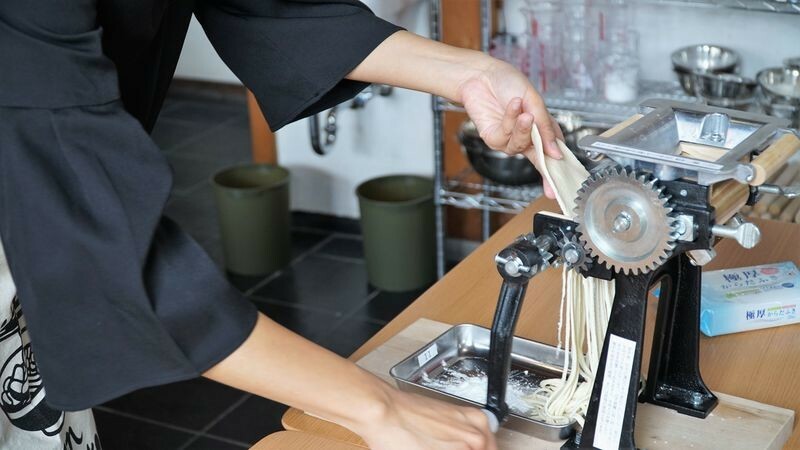 This is done by shaking the thing in which you put the noodles when boiling, and it’s something you get to see at every ramen restaurant in Japan. It’s really fun to get to do it yourself. Then just let the staff pour the soup you just made on the noodles. So after this you’re done! 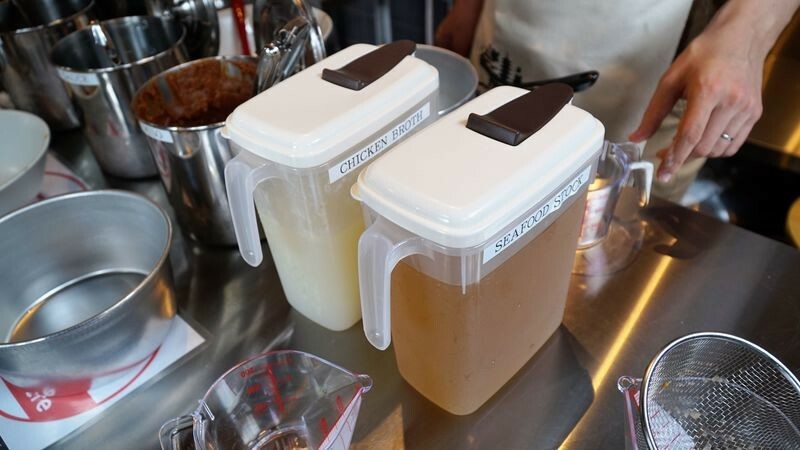 Now you only need to put some flavor oils into your ramen and top it with things like green onion and Japanese pepper (and of course the chicken chashu you made). The ramen was surprisingly tasty! Of course since you make it yourself it’s not as good as ramen made by professionals, but still very good. And there’s something special about the taste since you have made it yourself. 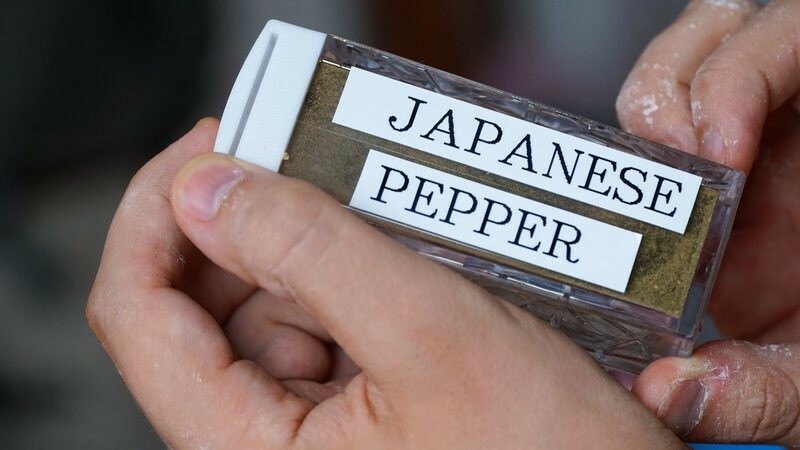 If you want to make your ramen taste more Kyoto-like, put some Japanese pepper on it. The taste of it is quite strong so don’t put too much before you have tasted it. The restaurant even has a prayer room for Muslim travelers. 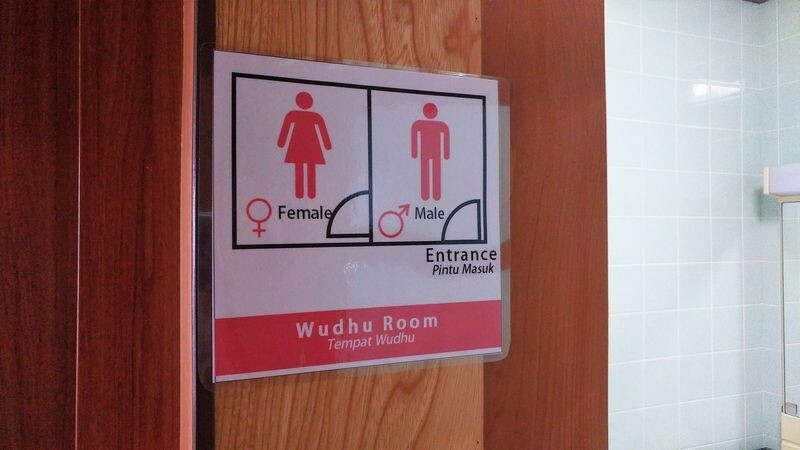 They even have different places where women and men can wash before praying. There are not that many places in Kyoto this ready for Muslim travelers. Both of our writers made excellent ramen this time, but I have to say I liked Vanessa’s ramen more. The little bit of miso she put into her seafood-salt ramen worked as a great accent and made the ramen really work for me. 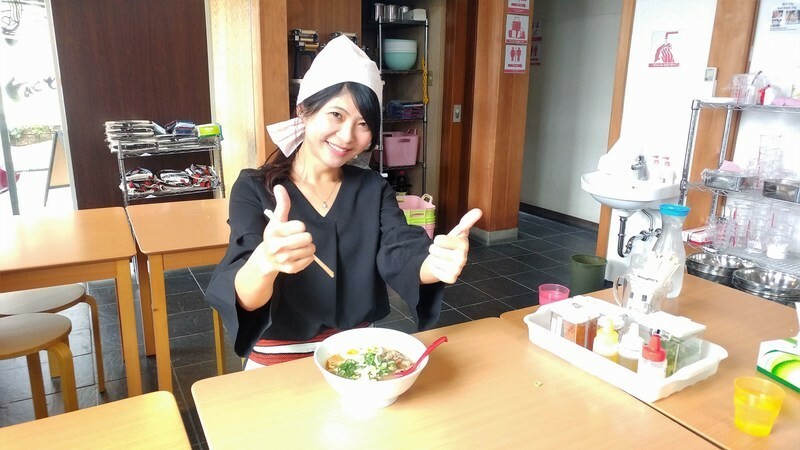 This time I only participated as a cameraman, but the ramen making experience looked so fun that next time I want to try it too!